The same way that horoscopes and Greek mythologies have histories dating centuries ago, gemstones, too, carry special significance about where they came from and what they mean. When we were in the process of designing the Ringly collection, we had to decide which precious and semi-precious gemstones we were going to include…and there were so many choices! That’s when we began to focus our attention on color, origin, formation, and story. 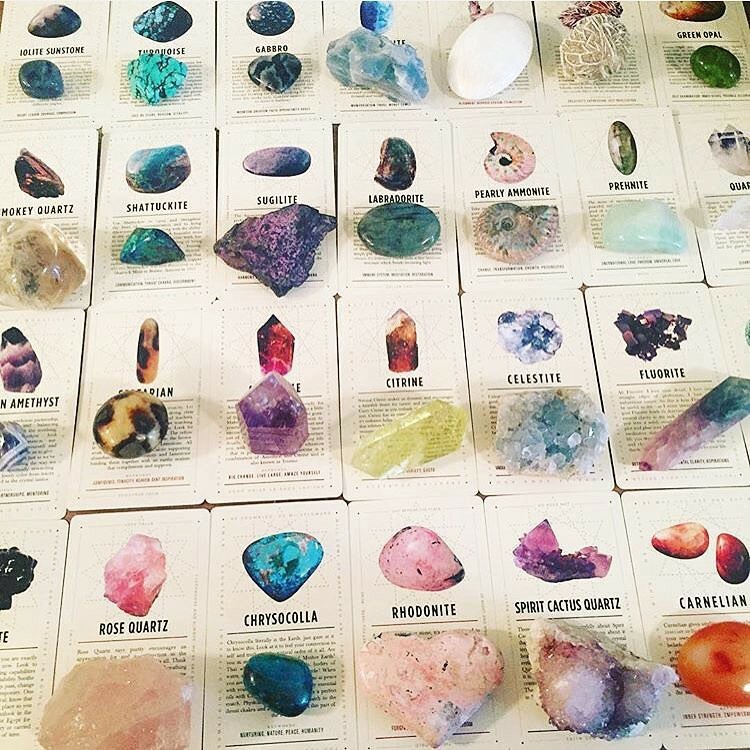 We had so much fun learning about the unique legends behind each gemstone. Wondering which Ringly to choose? Here’s our breakdown of the stories behind four of our favorite gemstones. As the official stone of Diana, Roman Goddess of the Moon, the moonstone protects, calms, and brings hope to the wearer in sync with the phases of the moon. Rainbow moonstones act as a prism, deflecting negativity away while showing off a gorgeous multi-color display of grey, yellow, green, and pink. 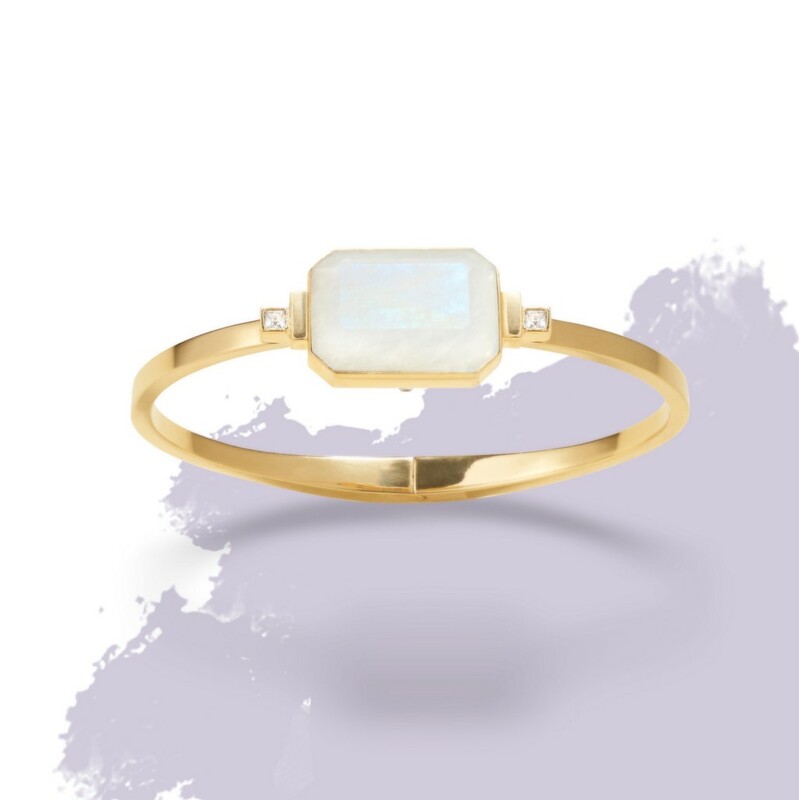 A perennial favorite in the Ringly office, rainbow moonstone can be found in both our Daydream smart ring and Photo Booth bracelet. This gorgeous, mirror-like stone combines the properties of clear quartz crystal and tourmaline. 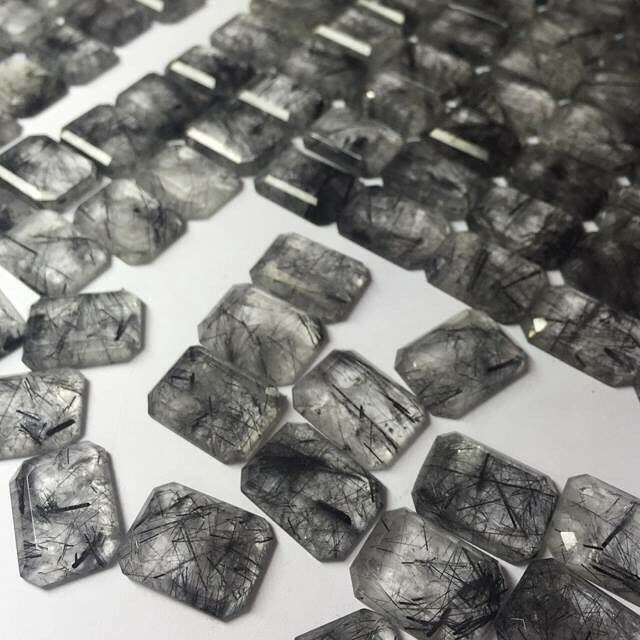 Known as a grounding stone, tourmalated quartz detoxifies and purifies negative energy in the body and mind. The gemstone was named “krystallos” by the Greeks, who thought that it looked like ice that was eternally frozen. We’re especially fond of the black needle inclusions that appear in different patterns in every stone. Check out our Dive Bar smart ring and Backstage bracelet for a glimpse of this stunner. Who doesn’t love a little bit of magic? Labradorite gemstones are considered to be connected to transformation and magic, providing clarity and insight into your destiny. 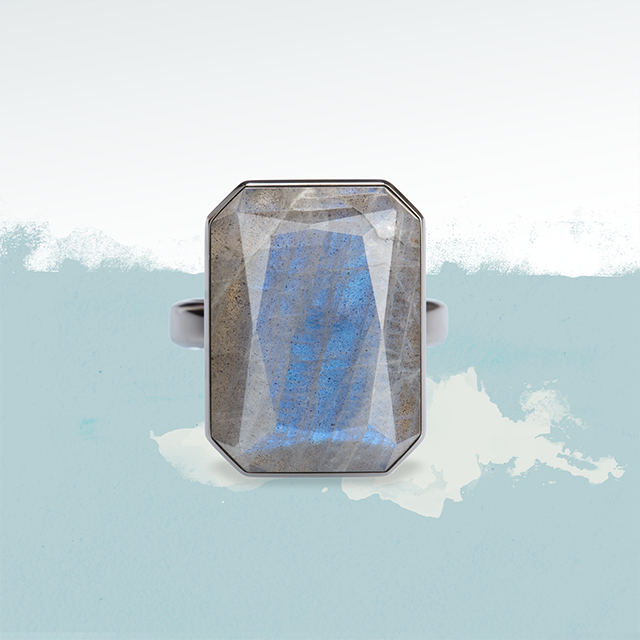 The iridescent stone shimmers a beautiful blue beneath its dark base, and it’s said to be connected to transformation. Wear our Wanderlust smart ring or Rendezvous bracelet when you want to prepare for your next adventure. 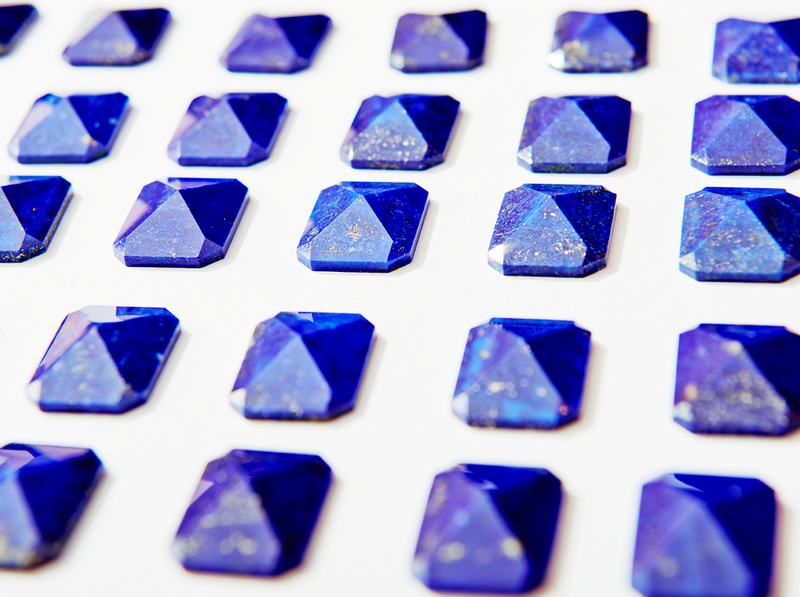 A striking dark blue color, lapis lazuli is a microcrystalline rock with golden pyrite inclusions. Today, it’s said that lapis lazuli represents honesty, inner power, and spiritual love, and is rumored to be a powerful tool to enhance your intellectual ability. Slide on an Out To Sea smart ring or a Lakeside bracelet, and you’ll be armed and ready to ace your next challenge. Stay tuned for the next installment of our Making the Cut series, where we’ll talk #gemstories for the other stones in our collection: emerald, pink chalcedony, black onyx, and pink sapphire.